OSWEGO, NY – Aretha Lagoe was recognized by the Oswego City School District Board of Education and Superintendent of Schools at Tuesday’s meeting. 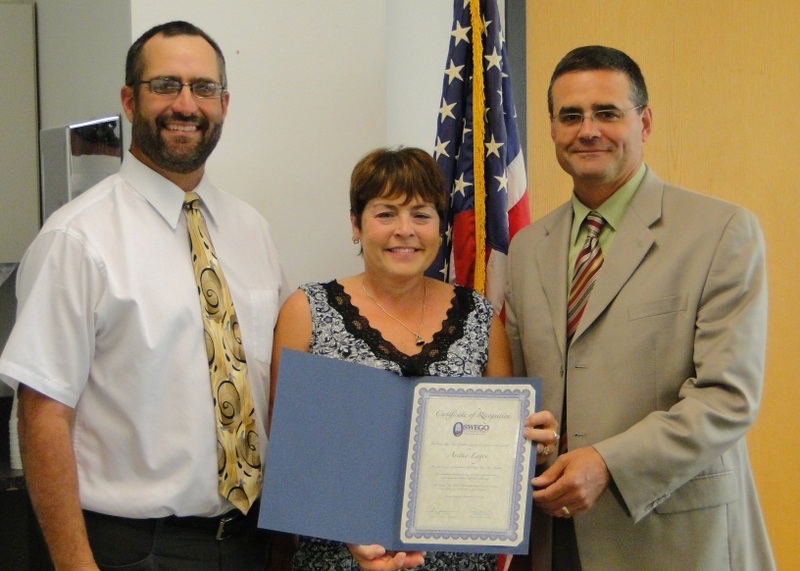 Lagoe has served the district’s students and staff for two decades and is retiring from service. 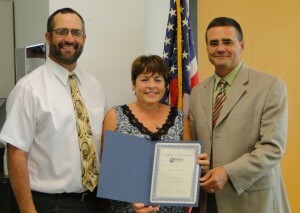 Board President John Dunsmoor and Superintendent of Schools Bill Crist presented a “Certificate of Recognition” in appreciation for her dedication and service.